Want a free PDF reader? 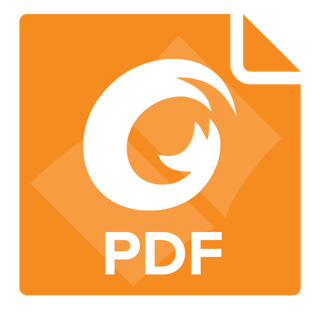 Try Foxit MobilePDF. This is an easy-to-use PDF reader which allows you to view, annotate, and protect PDF files on iOS devices while on the go. Unlike other PDF readers, this app comes with ConnectedPDF, a leading edge technology that powers document intelligence, security, and collaboration services for PDF files. * Reliable: 100% compliant with your current PDF ecosystem. * Lightweight: doesn’t exhaust your device resources. * Fast: no long waits to open PDFs. * Secure: powerful file protection features to safeguard sensitive information against unauthorized access. * Collaborative: full control of your content. * Multi-Language: support for 12 languages. * Play audios and videos in PDF. Have feedback? You can contact us at the following email address: ios.support@foxitsoftware.com. Sup. Your app is all cool with all the fancy features, but since like two months it does all kind of weird things when i try to highlight some passage - makes the coloring crooked, double-highlight some letters and whatsoever. Tbh higlighting was never as smooth and nice as in Adobe, but still acceptable (not to mention whole list of your readers' advantages). Now its just plain nightmare!.